FROM PASTOR DOOM TO PASTOR DISINFECTANT! ONLY a few weeks after Prophet Lethebo Rabalago sprayed his congregation with Doom, another pastor has surfaced with what he claims to be a miracle treatment. 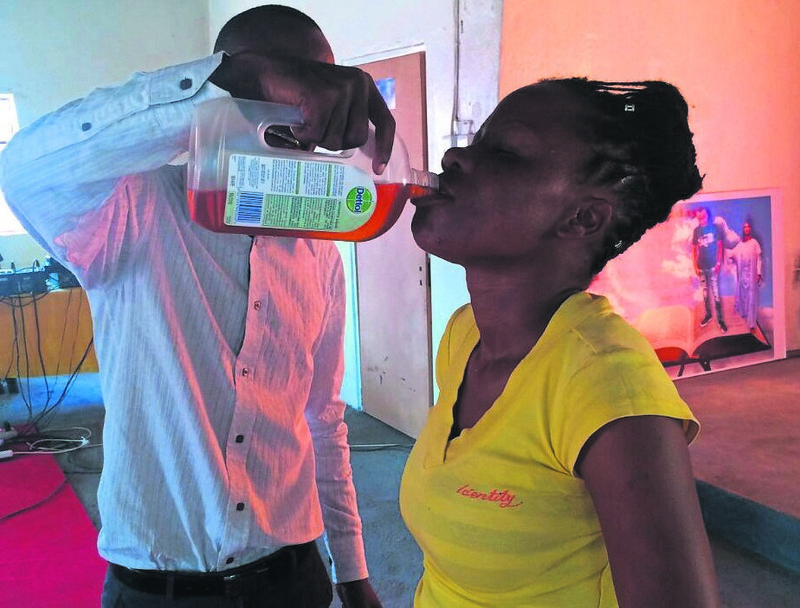 Prophet Rufus Phala of AK Spiritual Christian Church in Makgodu, Limpopo, made his church members drink Dettol. In the video seen by Daily Sun, Prophet Rufus tells the congregation to drink the antiseptic liquid, promising they will be healed of their sickness.